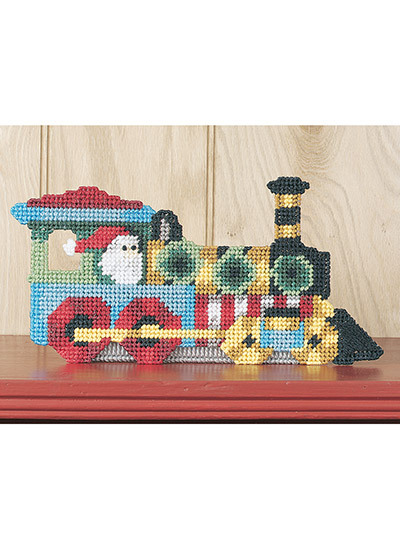 Hold greeting cards or Christmas treats in each car of Santa's express. 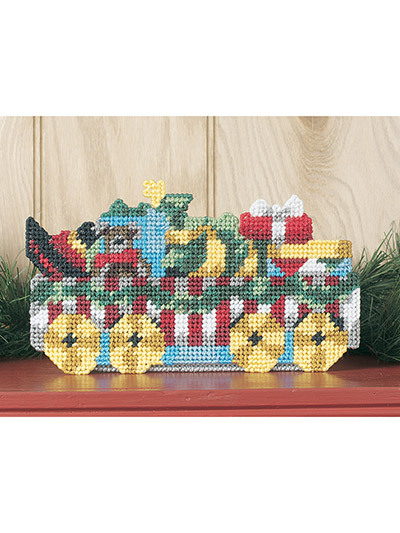 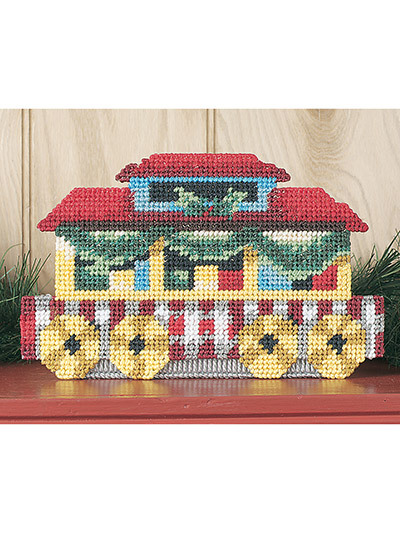 This colorful train is made using 7-count plastic canvas and worsted-weight yarn. 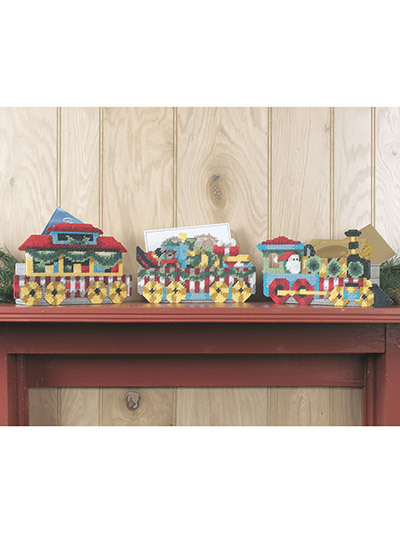 Size: Engine: 3 3/4"W x 13 1/2"L x 6 1/2"T; Box Car: 3 3/4"W x 11"L x 6 1/4"T; Caboose: 3 3/4"W x 11"L x 6 7/8"T.